Mosaic art began in Mesopotamia during the 3rd millennium BC. Different materials were utilized to come up with the best mosaic art, such as pebbles, patterns and pictures. During the 4th century, early Christian churches were decorated with ceiling and wall mosaics. This type of art likewise flourished during the reign of the Byzantine Empire. Famous columns in Mesopotamia were coated with several layers of clay cones in black, white and red color. These columns were artistically placed to form a geometrical pattern. The symbol of the City of Ur is one of the most exquisite examples of ancient mosaic art. The structure was crafted out of a 2-faced wood with one side illustrating peaceful living and the other depicting military-themed scenes. The Tessellated mosaic was invented during the Hellenistic period. A plane or flat surface is tiled using geometric shapes, referred to as tiles, with no gaps and no overlaps. This type of mosaic shows an important technical and stylistic innovation. The technique was further refined at the Hellenistic royal court. 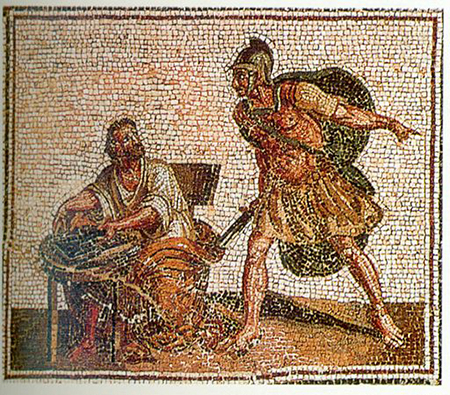 During the middle part of the 2nd century, mosaics became widely used in the Hellenistic world. Wealthy houses were decorated in this type of art. A substantial rise in a family’s living standards would also mean choosing a more complex mosaic pattern for their windows and walls. In contrast to the complex mosaic art in Asia and Eastern Europe, the Roman Empire settled for a new style using simple black and white pieces. However, the basic patterns such as animal, plant or geometric shapes were still followed. This style was followed during the next centuries with the continued expansion of the Empire. Square shapes of natural polychrome materials were used to form lines of different colors. Various images were also styled with no excessive detail. The background and frames were crafted in neutral color or black-and-white. Varied motives can be noted, such as seasons, creatures, mythological figures, monthly calendars, hunting scenes, everyday life, animals, gladiators and love scenes. As Christianity spreads throughout the world, Byzantine mosaic likewise flourished. This type of mosaic originated from Constantinople, the Eastern part of the Roman Empire. Most of the Byzantine mosaics were still preserved in capital cities such as Ravenna, Istanbul, Rome, Milan, Venice, Thessaloniki, Monreale and Cefalu. 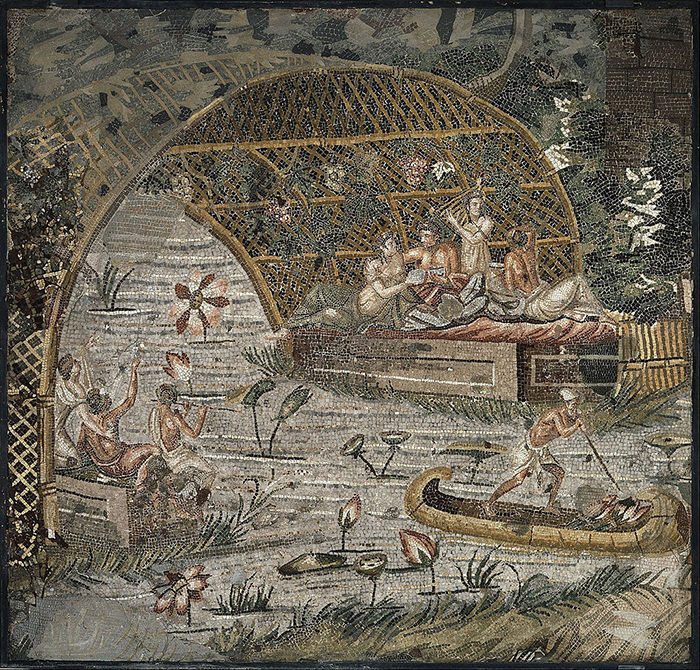 Most of the mosaics made during this era depict religious scenes with a golden background. Several illustrations of the Old and New Testaments were made with the images of saints. The art also had a didactic meaning. The Holy Bible can easily be understood simply by looking at the images that were crafted. The cost and time for creating mosaics were greatly reduced during the 19th century, and this was because of Facchina’s paper mosaic. This type of contemporary art perfectly matched the competitive nature of the times that were stimulated by the Industrial Revolution. The discovery of the paper mosaic created an opportunity as well as a new stimulus for the art. Contemporary mosaics carry with it a taste for decoration, ornament, play and irony. The creation of these mosaics has a historical function of different architectural elements. Even small children can easily learn the art and enjoy creating paper mosaics during their spare time. Piles of colorful scrap papers can be used to come up with a creative pattern.